I almost didn't share this recipe... and you know why? 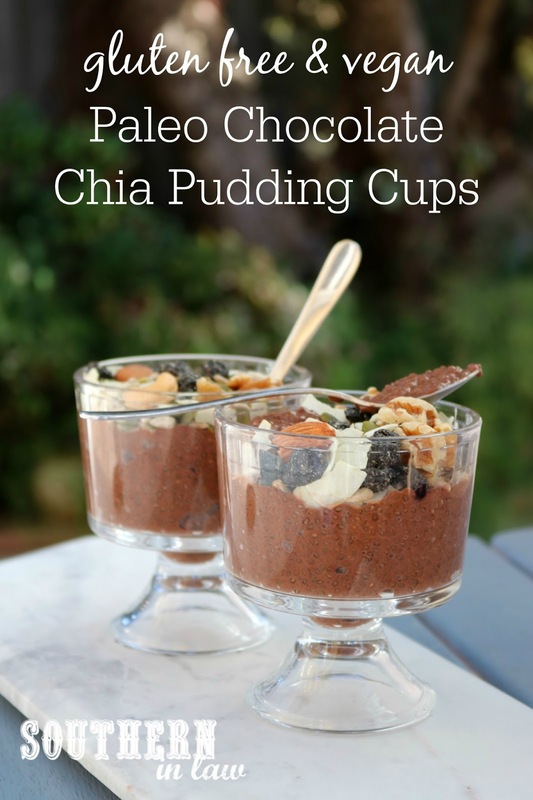 Because I feel like chia pudding is a little... okay, a lot.... overdone in the healthy living blogger world. 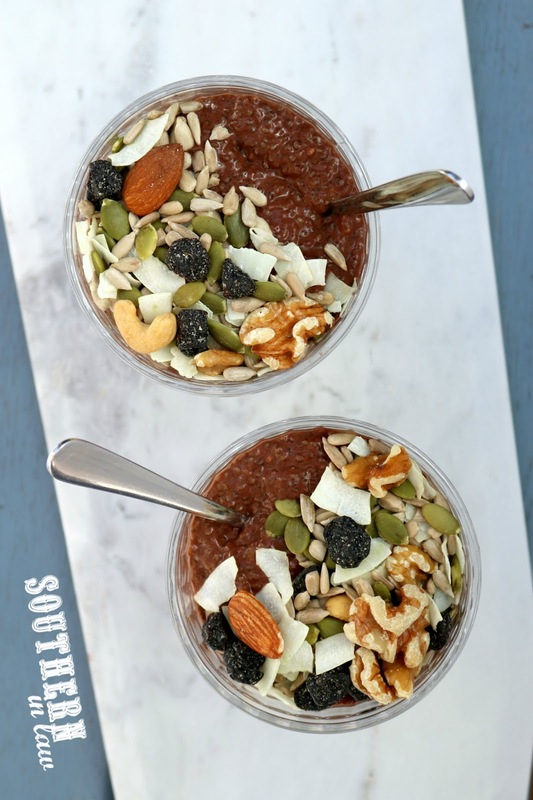 Whilst chia pudding may be a little bit overdone, I promise you this recipe is delicious - and worth trying.... and that's all to do with the topping. 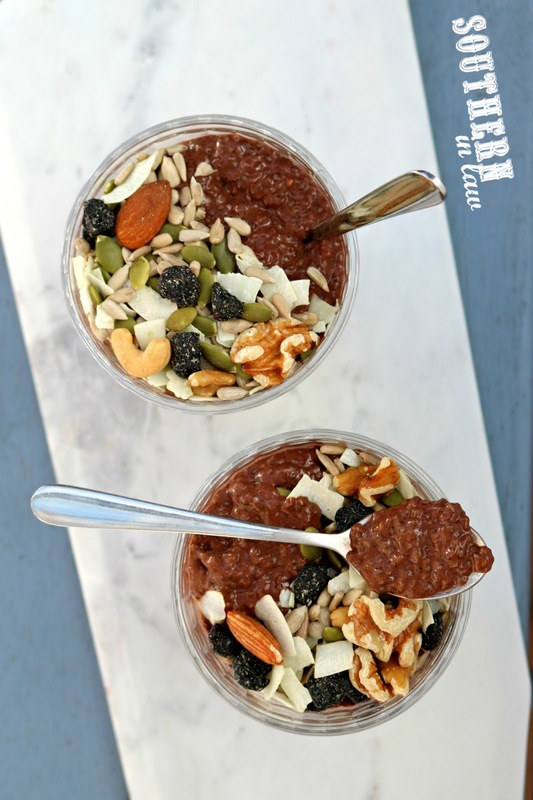 You see, chia pudding gets a little bit boring and monotonous after a while - but topping it with a crunchy delicious trail mix topping? Delicious.... and it will keep you full for hours. 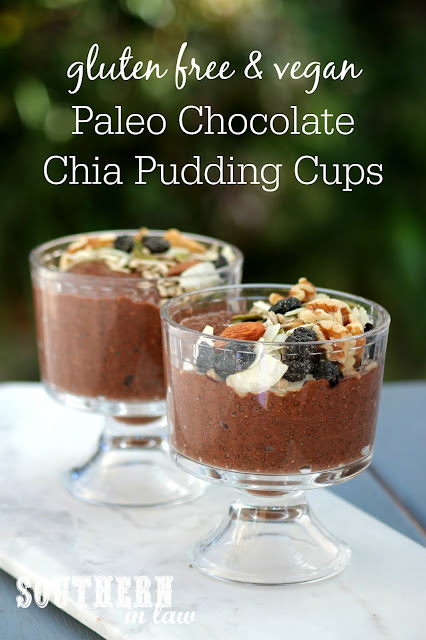 You might have been topping your chia puddings with elaborate toppings for years, but this girl only just realised that made sense. Sure I've added fruit and coconut cream and the occasional sprinkle of nuts - but it wasn't until I had a trail mix muesli in my cupboard that I thought to combine the too - and ohhhhhhh, mama... was it a good idea. In the bottom of a large jar (you can use a mixing bowl, but I find a jar is easiest! ), add your cocoa powder with a splash of boiling water. Mix your cocoa powder and water until the cocoa powder has dissolved. Add your chia seeds, milk, maple syrup and salt and screw on your jar lid. Shake your jar until all of your ingredients are mixed together and place your jar in the fridge. Allow your chia pudding to soak and thicken in the fridge overnight or for at least a few hours. Once your pudding has thickened, spoon it out into your serving dishes, top with trail mix and you're ready to eat! Leftover pudding will keep in the fridge for 3 or so days. But tell me, what have you been eating for breakfast lately? And what would be in your ultimate trail mix?